Stacie Dusetzina is an associate professor in the Department of Health Policy and an Ingram associate professor of cancer research at Vanderbilt. She is a health services researcher whose work focuses on measuring and evaluating population-level use and costs of medications in the United States. Dusetzina’s work has contributed to the evidence base for the role of drug costs on patient access to care and policy changes that might improve patient access to high-priced drugs. She has been recognized for her work at a national level, including being an invited participant for two working group meetings on “Patient Access to Affordable Cancer Drugs,” hosted by the President’s Cancer Panel, and being selected to co-author a National Academies of Sciences, Engineering and Medicine report on the same topic. Dusetzina’s research has also been broadly covered by NPR, Reuters, The Washington Post, STAT News, ABC News and The Wall Street Journal. 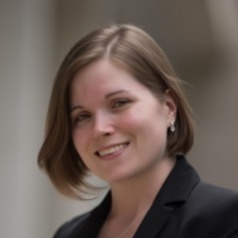 In addition to her work on drug pricing, Dusetzina is a population health scientist and pharmacoepidemologist specializing in large data informatics. She has authored or co-authored over 85 peer reviewed applied studies using Medicaid, Medicare, and commercial insurance claims data, and contributed several methods papers to the field.